This fruit salad is full of summer fruits. The sauce not only helps to keep the fruit from browning, but tastes delicious. 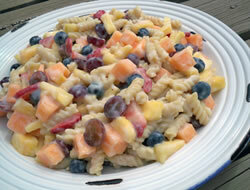 Use any assortment of fruits you prefer. 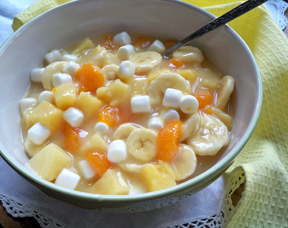 In a large serving bowl, combine fruits and stir gently. 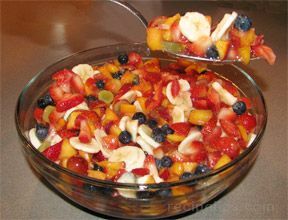 Pour dressing mixture over fruit and toss gently to combine. 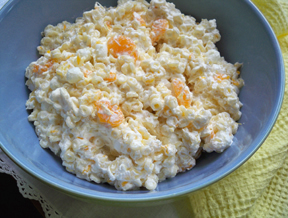 Serve immediately or cover and refrigerate until ready to serve.